When a musician of any renown starts playing with a new band there’s always a desire to classify it as a side project. In the case of Broken Beak, it’s anything but. 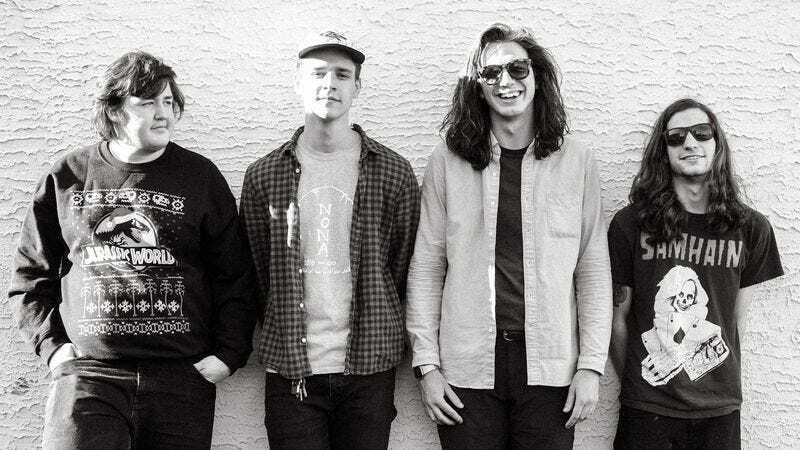 Though it features Brendan Lukens of Philadelphia wunderkinds Modern Baseball, Broken Beak is the brainchild of Beau Brynes, who is the band’s spiritual guide throughout its debut album, Some Nerve. Set to be released on July 1 on Near Mint, The A.V. Club is premiering “Humble,” a song built on Brynes and Lukens ping-ponging riffs and a story of being cut down to size. It shows Brynes’ knack for breaking big ideas down to their component parts, making for a song that’s intricate yet breezy, and showing that Broken Beak has an identity that’s all its own. Pre-orders for Some Nerve are available now. Tickets for the band’s upcoming shows with Chris Farren can be found here.